Q1: My payment won’t go through, what’s wrong? A: The web browser being used does not have cookies enabled. The credit card being used does not have the international transactions facility enabled. The payment system has timed out. The system will cut off your payment connection if it has been idle for one hour. Enable cookies in your browser (this setting is usually found in the browser options). Contact your bank to ensure international transactions are enabled for your credit card. Go to the view cart section again to reinitiate the payment process. Try another credit card, it sounds obvious but it sometimes does the trick. Try another computer, this also sounds really obvious but sometimes the security settings on a computer system can prevent the successful completion of a transaction. 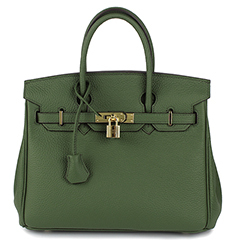 Q2: How do I order your leather handbags? A: To order a product just click "Add to Cart" button, located next to the product’s picture. Once you have chosen the item you wish to purchase click on "Continue shopping" to purchase more items, or if you made a mistake or wish to remove an item click on "update card" to delete the item from your shopping cart. Once you have completed selecting your items click "Checkout" to make your purchase. This will then commence the check out and payment process. 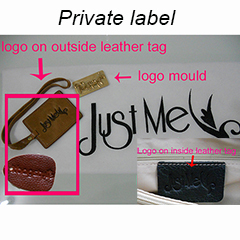 Just follow all the prompts which will collect information such as the shipping and payment details. Once your order has been processed you will receive an email confirming your purchase. Q3: What happens if I don’t receive my order on time? Q4: I made a mistake with my order and it’s status says shipped, what should I do? 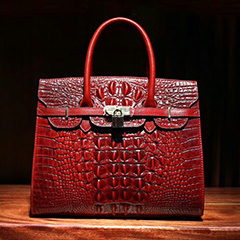 A: If the leather handbags you order have already left then we can not make changes to the order. 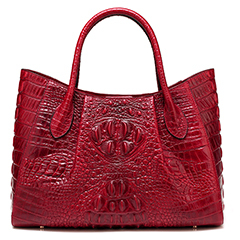 Please wait until you receive your genuine leather handbags and purses, and then E-mail us at sales@Itbagstyle.com. we will send your further instructions. Q5: How long will it take before I receive my order? A: As stated in our terms and conditions, processing takes 3-5 working days. Normally the shipping process is much faster and it only takes 3-4 days from the time we process your order. Q6: Can I cancel my order? A: Customer satisfaction is important to all of us. We will ship your merchandise as quickly as possible. We can cancel it for you. If your order has not yet been shipped, However, we shall not be able to process a cancellation once your order has been shipped. Q7: What about out-of-stock items? A: We make every effort to keep a good stock of all the items on our site. Occasionally, a high-demand item may go out-of-stock. If we are out-of-stock of an item you ordered, we will notify you via email. You may cancel any unavailable merchandise or have a back-order entered at that time. Q8: What is the cost of shipping? 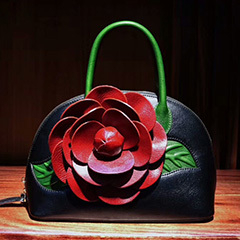 A: Itbag style Co., Ltd. Provides DHL/EMS delivery service at low shipping cost to customers from all over the world. Please Click "Shipping" to get shiping cost or enquire our sales for more details. Q9: How to track my shipment? Q10: How do I exchange items? A: The best way to arrange for an exchange is to contact our staffs who will offer you correct instructions pertaining to your particular order. Every exchange scenario can be different and there may be times when we can help you avoid unnecessary costs of sending your items back to us. Q11: What should I do if the goods received are damaged? A: At our side, we make sure that all products are carefully wrapped with utmost care to ensure a safe delivery to its destination. In case of damage during shipment, please file your damage claims to the delivering carrier immediately, and notify us within 72 hours of receipt of damaged merchandise by you. we will help you find a best solution.